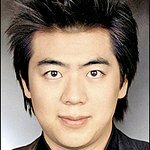 Lang Lang is a Chinese-born concert pianist who currently lives in New York. He is a UN Messenger of Peace. In 2008, he launched the Lang Lang International Music Foundation in New York to enrich the lives of children through a deeper understanding and enjoyment of classical music and to inspire and financially support the next generation of musicians. Google trends for "Lang Lang"